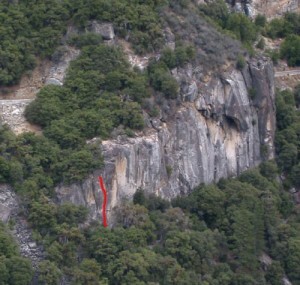 This is a hard 5.8 but is well-protected?a Yosemite rarity for a climb of this difficulty. The steep crux is just a few moves on positive holds before the anchor. To set a toprope, you must rappel 20 feet off a tree to reach the anchor. Which SuperTopo guidebooks include a topo for Mockery?